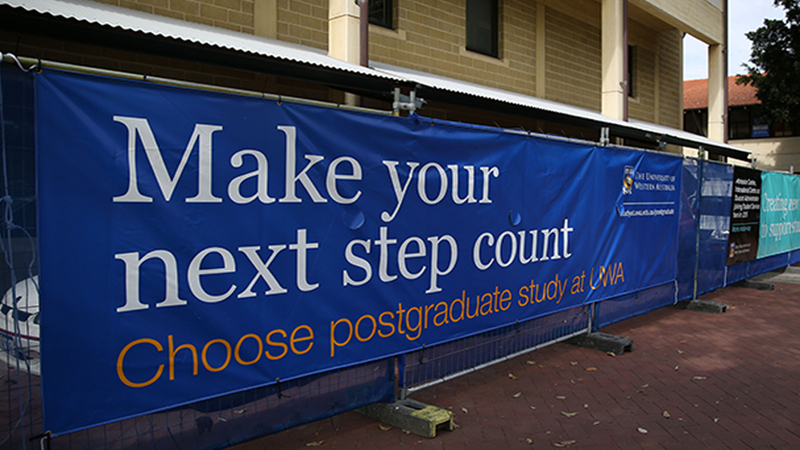 UniPrint provides a wide range of poster, signage and banner printing services. We are able to print posters, banners, A-frames, roster signs and many more specialty items. We also provide laminating and installation services. Browse through some of our services below or contact us if you can't find what you are looking for. 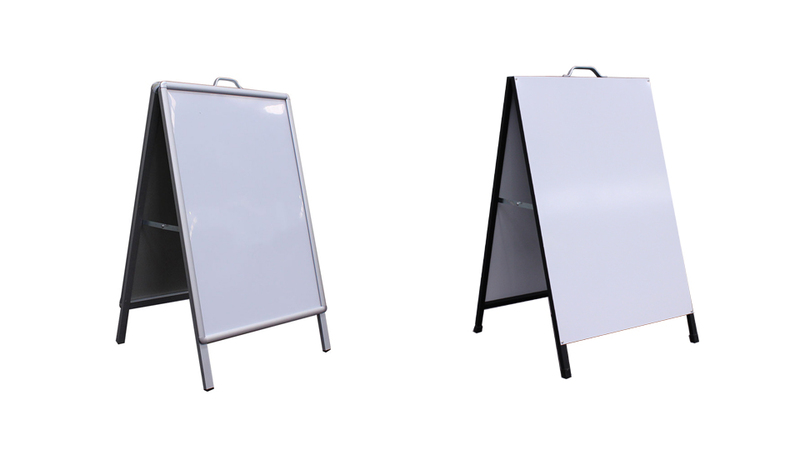 Perfect for way finding or advertising. These come in a range of size options with wheels and handles. Please note: photo may differ from ordered. 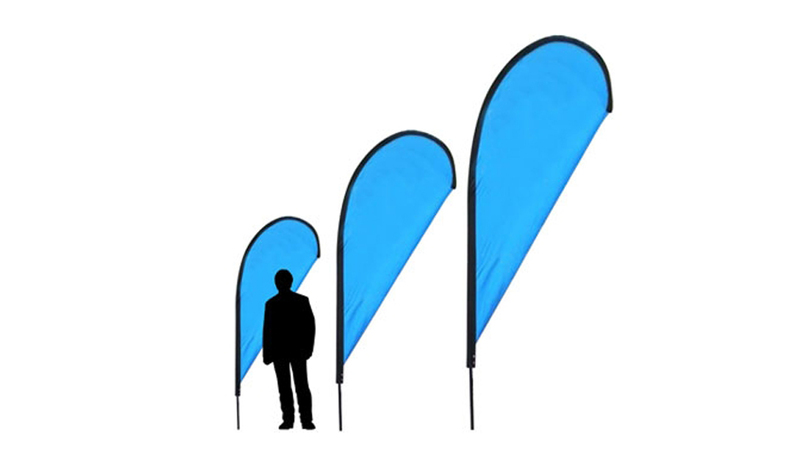 Teardrop flags ensure your message is getting across, whether inside or outside these are a great option with changeable bases. 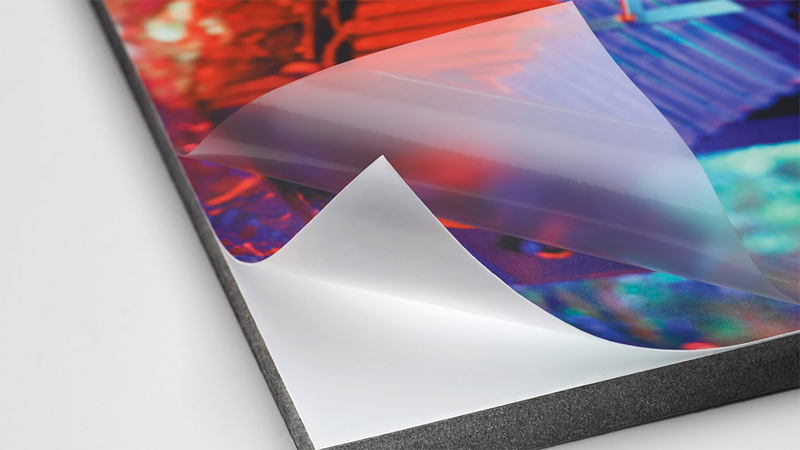 We can laminate your printed material in a range of standard hot or cold laminates, as well as some specialty grades, in any size up to 1500mm wide and it can be almost as a long as you like! We now have the capabilities of direct printing with our new flatbed machine. 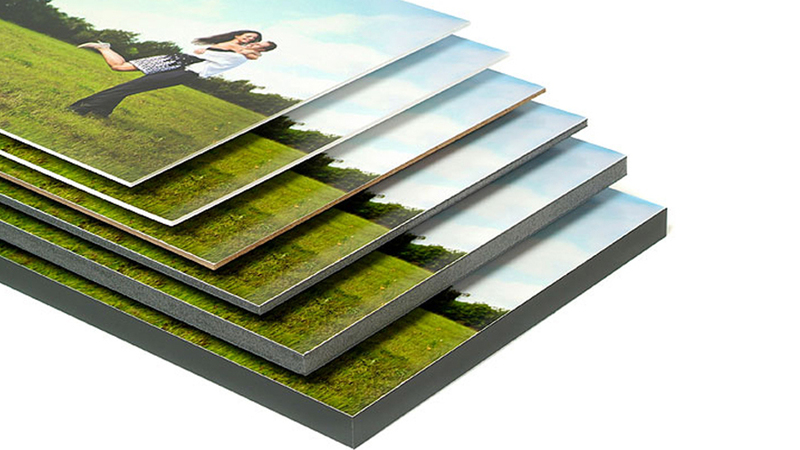 This enables us to nearly print on everything, common substrates include Gatorboard, Kappa Foam Board, Corflute, Canvas and much more. 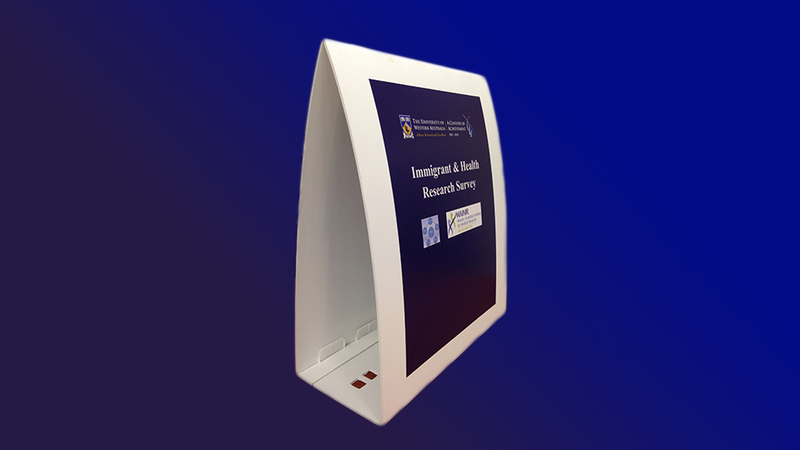 Need a poster for a conference presentation or assignment? 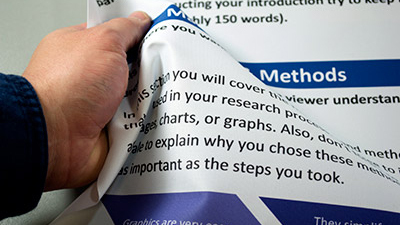 Fabric poster – great for folding up in your suitcase! 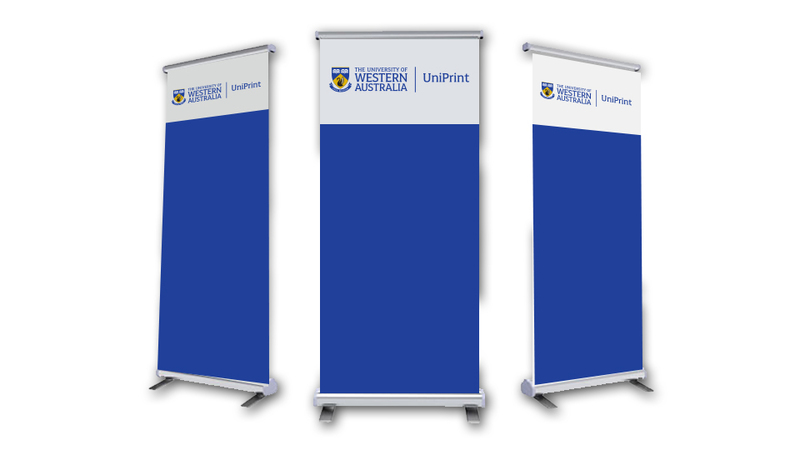 Pull ups or Retractable Banners are often used at offices, shows, exhibitions, conferences and for temporary marketing. Combined with a quality print and they are easily transportable with carry bag and are up in seconds for maximum impact. Please note: photo may differ from based ordered. Cheap alternative to an A Frame as these are printed on Corflute. Usually used in way finding / direction and comes in a range of sizes. We also print in house PVC Banners with eyelets and ropes, great for cost effective marketing and advertising upcoming events as well as die cut labels and stickers for any purpose you may be after.